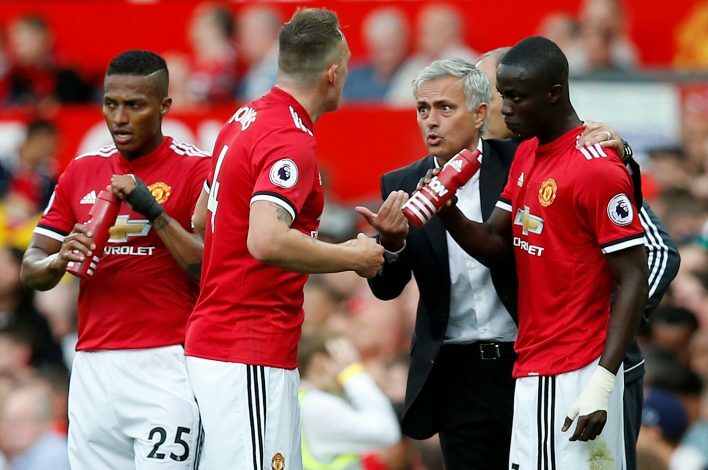 Jose Mourinho has given some early team news ahead of Manchester United’s away trip to Leicester City, confirming that four players will definitely miss the clash. Antonio Valencia is the most worrying absentee, having suffered a hamstring injury during last week’s encounter with West Bromwich Albion at the Hawthorns. Despite thanking fans for their support and claiming he was ‘fine’ on social media, the 32-year-old Ecuadorian has failed to recover in time for the game against the Foxes, although his exclusion could also be for precautionary measures to avoid potentially aggravating his hamstring unnecessarily. The other players who are out have pretty much been absent for a majority of the first half of the season. Marouane Fellaini is out with a knee injury, and will not be available during the festive period, while Eric Bailly is undergoing surgery, and is set to be sidelined for another two months. Long-term absentee Michael Carrick is also unavailable for the Christmas period. “Valencia is out as you know,” Mourinho clarified. “Eric Bailly is having surgery right now, or is just finishing or is still there, who else? Nobody else, everything is okay. Mourinho also spoke glowingly about his opponents on Saturday, saying he believes they are more than capable of competing for a Europa League spot. “I think they were phenomenal from that season,” Mourinho said of Leicester’s 2015-16 title-winning campaign. “And they benefited from the normal title contenders not having a good season all at the same time.